KVNF News: "Trumpest County in America"? 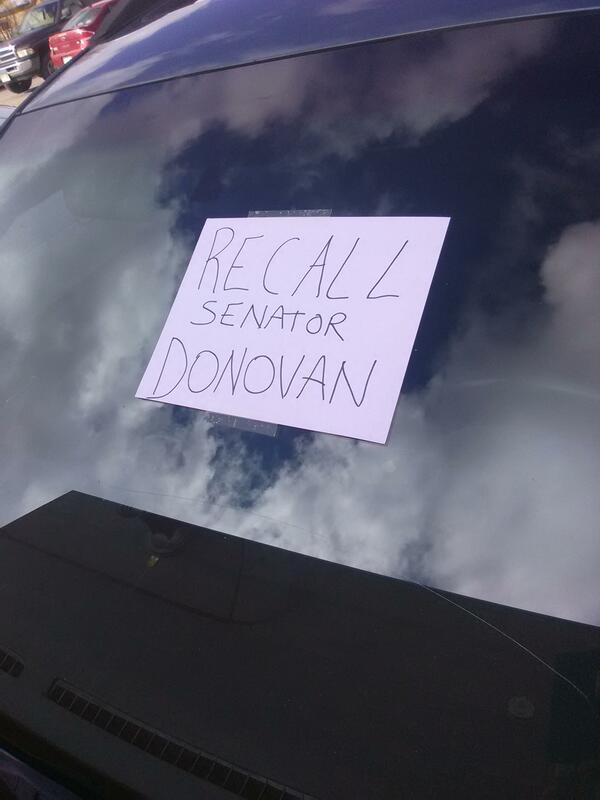 This sign on a car in the Hotchkiss Elementary School parking lot last Saturday showed the opinion of most of the citizens at a Town Hall event with state legislators. At a Town Hall meeting in Hotchkiss, angry citizens from around Delta County peppered questions at State Senator Kerry Donovan and Representative Julie McCluskie. The lawmakers were there to talk about the National Popular Vote, but citizens wanted to talk about more controversial news like the Red Flag Bill. KVNF News spoke with one of the visiting officials.